The Handyman Camberwell services are the ideal option for any house and commercial property, whether you need professional assistance with putting the finishing touches to a new build or the refurbishing of your house in order to boost its resale value. The experienced tradesmen have the knowledge and expertise to deliver an excellent service every time. From small fix tasks to big renovation projects, we can do it all! The handymen we work with come fully-equipped with the most modern tools of the trade. You can make an evening & weekend appointments. Clear Pricing System We don't have any hidden rates. Adept Handymen Every handyman Camberwell has a lot of in-field experience. 24/7 Customer Care Service Our friendly representatives are 24/7 at your disposal. Call us for unblocking toilets, sinks, pipes, and drains, or when you need help with the installation of toilets and washing machines. Make your home safe with our child proofing and draught proofing services and general property maintenance. Flat-pack assembly, disassembly and reassembly, and repair of all furniture items. 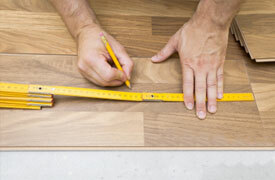 We will fit and repair vinyl, laminate, parquet, hardwood floors, inside and outside.